James Spaur has practiced law since 2000 and maintains a sophisticated business transactional practice, focused on mergers and acquisitions and complex corporate transactions. He serves as both outside general counsel and transactional counsel to a broad and diverse group of entrepreneurs, start-up and emerging ventures, and middle-market companies, providing them with business-driven solutions and cost-effective legal expertise. His clients operate in a variety of industry segments including, oil & gas, manufacturing, construction, and technology. Prior to joining Ewing & Jones in 2011, James practiced with Burns & Levinson in Boston, Massachusetts, and Devine, Millimet & Branch in Manchester, New Hampshire. 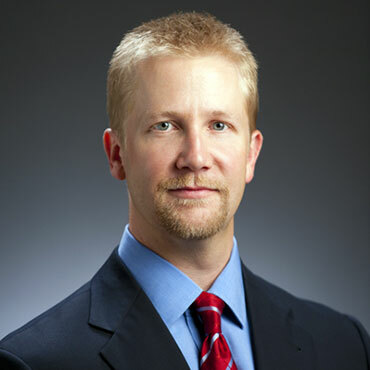 James received his Bachelor of Business Administration from Iowa State University in 1995; his Doctor of Jurisprudence from Valparaiso University School of Law in 1999; and his Master of Tax Laws from Georgetown University Law Center in 2000. He was a member of the Valparaiso University Law Review and served as Editor of the 1998-1999 Law Review Symposium. James is admitted to practice law in Texas and Massachusetts.